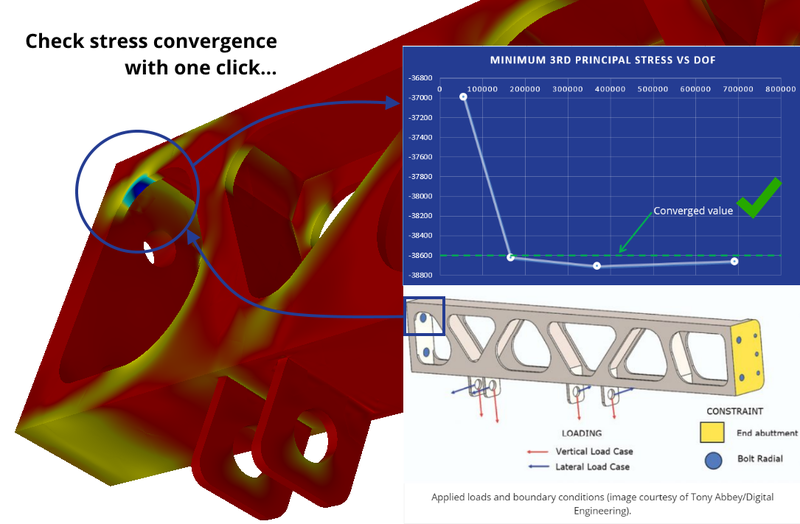 How Do You Verify the Accuracy of Engineering Simulations? | ESRD | Engineering Software Research and Development, Inc.
Strategies for verifying the accuracy of engineering data will be explored, including best practices and common pitfalls engineers may encounter when assessing the quality of the results. Why is the practice of solution verification for FEA results important? And what checks must always be performed before reporting your FEA results as “accurate”? We will examine a variety of publicly-available and industry-applicable case studies, benchmarks and industry examples to determine the most efficient and reliable methodologies to perform solution verification. LIVE DEMO: You will see a demonstration of ESRD’s StressCheck® and its S.A.F.E.R. live dynamic results extractions for an industry example, and learn how StressCheck® makes verifying the accuracy of results quick and pain-free.